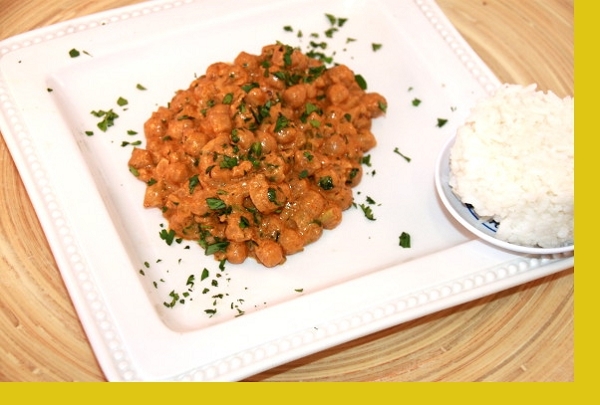 A popular Indian vegetarian entree in North India and Pakistan made of chick peas and tangy spices. Served with Naan (bread) and Raita - a yogurt that has a wonderful cooling effect - though not to worry we've pulled back on the heat without sacrificing flavor. 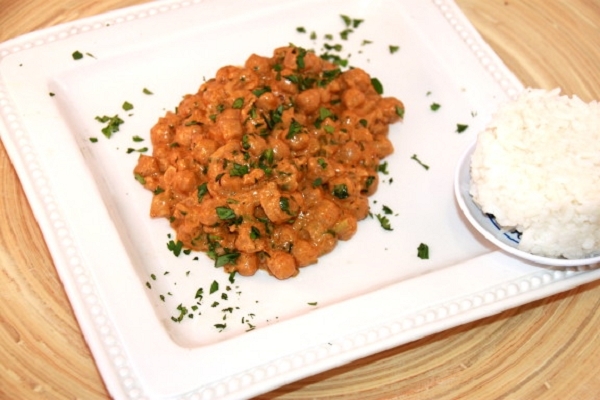 Chana Masala: Empty contents into a microwave safe container. Heat thoroughly until warm on HIGH POWER, appx 2-4 minutes. Naan Bread: Reheat naan bread in toaster oven until warm. Serve with side of cold Raita. I really liked this dish. It was so easy to prepare. It is especially nice over a bed of rice. I order a differnt meal each week and all have been exceptional and even I can follow the instructions that come with each dinner. Delicious and reheated well throughout the week! I was really surprised at how spot-on the flavors were for this dish and I loved the raita sauce. It reheated well for lunches for me throughout the week. can't wait to order it again! My husband and and I both loved this dish. I got it in hopes of replacing our mostly red meat dinners. This was awesome!